tl;dr: Skip straight to the list! Over 21 years ago—circa 1995—I got my first dose of "virtual reality" by glimpsing into the lenses of a store display model Virtual Boy at Target. Featured within this curious contraption was a vividly monochromatic, red-tinted 3D world. The demo game was Wario Land, and in those fleeting seconds I recall dodging 3D spike balls that lunged out toward me before vanishing back into the abyss. 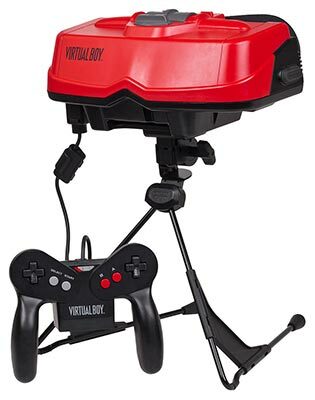 Despite being critically panned and discontinued shortly thereafter, this experience on the Virtual Boy proved strangely captivating and my fascination with 3D and virtual reality continued onward. In 1999, as a companion to my newly purchased Voodoo3 3dfx video card, I bought my first pair of 3D shutter glasses known as VRJoy. These bulky LCD glasses connected to the computer via a VGA passthrough box and then flickered repeatedly between the two lenses, in sync with the CRT monitor display. Due to low refresh rates, the flickering was prominent and prolonged use would often result in headaches and eye strain. None-the-less, the hardware enabled virtually any DirectX 6+ application to automatically transform into a 3D experience. Over a decade later upon transitioning to 3D-capable high refresh rate monitors, I picked up Nvidia's 3D Vision shutter glasses that carried similar albeit much improved functionality. In the summer of 2012, the Oculus Rift was announced on Kickstarter as a virtual reality headset that would "change the way you think about gaming forever." Although virtual reality headsets were not unheard of (with specialized and mighty expensive ones dating as far back as the 1980s and commercially viable ones arriving in the 1990s), the Rift became the first high profile attempt at bringing such hardware to the modern era with an HD display, ultra-low latency, high field of view and greater affordability. The $250,000 goal was surpassed within 24 hours, and by the time the crowdfunding campaign ended it had raised $2,437,429, becoming one of the largest crowdfunding success stories of all time. I jumped on board, receiving the first Oculus Rift DK1 (Developer Kit #1) in 2012 and the Rift DK2 in 2014. Finally early this year the consumer version arrived at my doorstep. The evolution of this device in under five years was quite remarkable to me, and despite criticism of its unanticipated cost (USD $600) and massive shipping and production delays, the end product felt quite rewarding (especially considering what crude VR components cost just 25 years ago ;). But try as I did, the lack of any complimentary hand-based controllers made it difficult to become fully immersed. I tried the Razer Hydra controllers, which while fairly cool at the time were also somewhat of a burden to setup and had limited Rift-compatible game support. Meanwhile the Vive was released with full wireless touch controllers that made me quite envious as a Rift owner. A full 1.5 years ago, Oculus announced its plans to develop hand-wearable motion controllers to better embrace the nature of virtual reality. This week, eight months after HTC released its own VR headset with accompanying motion controllers, Oculus finally delivered. Along with the controllers, the package includes a second sensor which helps accommodate room-scale VR. An optional third sensor (and even a fourth) can be purchased to expand on these tracking capabilities. Whereas the Vive has a built-in camera that shows an overlay when you get close to your room's physical perimeter, the Rift instead projects a 3D wireframe barrier ("Guardian") when you get close to a physical barrier, which I find equally effective. Setting up the Touch controllers was very streamlined and enjoyable. After plugging in the second sensor and launching the Oculus app, the wizard immediately walks the user through the entire collaboration process step-by-step, complete with videos and interactive elements. The first part of the interactive setup involves positioning and rotating the sensors to their optimal position. The second part has the user walk around the perimeter of their room to calculate the usable play area and where the Guardian walls should appear if they get too close. After successful configuration, you are taken through an introductory tutorial to familiarize yourself with the controllers and their capabilities. Impressively, 54 Touch-enabled games were announced when the Oculus Touch launched December 6th. Most of them are commercial with prices ranging from $9.99 through $49.99. Some titles have been around awhile (like The Climb) but have been updated to support Oculus Touch. Even those who played through a previously released title with their Xbox controller will find it to be an entirely new and more immersive experience with the hand controls. 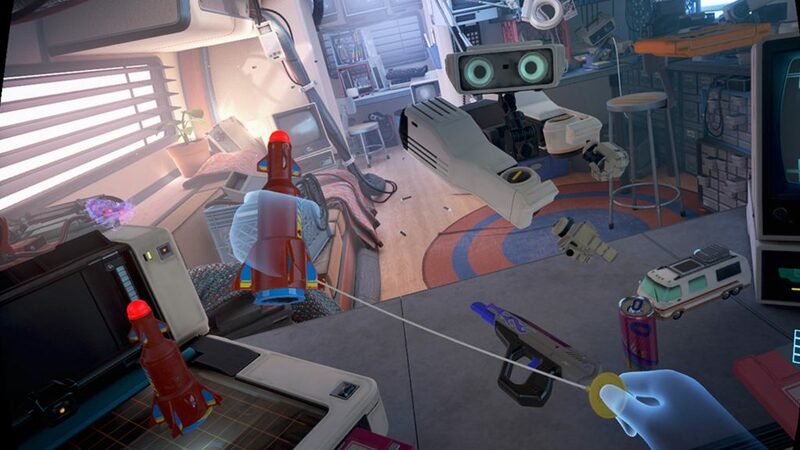 Right now, Oculus has a $89.99 promotional pack of six Touch-ready games including Space Pirate Trainer, I Expect You To Die, Kingspray Graffiti, SUPERHOT VR and The Climb. Purchasing this pack or any game on the Oculus Store will also currently get you Ripcoil for free, so the six game pack comes at a savings of $49.95 and contains plenty of experiences for infinite entertainment. But this post isn't about commercial experiences. It's about the best free Touch-ready games I've experienced during my first couple weeks of Touch ownership. With that said, let's get to it! 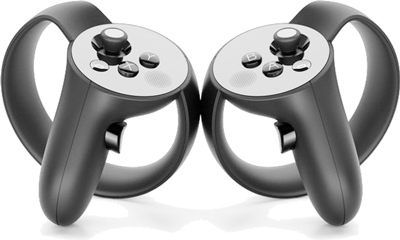 Much in the same way that Super Mario Bros. introduced millions to the Nintendo Entertainment System and its game controllers, and Tuscany became the first de facto VR experience on the original Rift developer kit, Oculus First Contact is the initial experience that all users of the Touch will be greeted to. Immediately after setting up and collaborating your Rift sensors and controllers, a Touch Tutorial app will launch to help familiarize you with the touch controllers. After this brief tutorial finishes, you will be taken into the First Contact world where you'll grow to love interacting with an adorable little robot reminiscent of Wall-E. This app gently introduces you to a variety of increasingly fun and immersive uses of touch controls in a very amusing manner. One of the most visually impressive demos I experienced on the DK2 version of the Rift was Epic's Showdown. It was more of a tech demo to show off Unreal's power but also was my go-to demo when showing guests the Rift due to its immersive qualities. There was no user input and it only ran for a couple of minutes so was perfect for entertaining others and letting them understand what VR is all about. 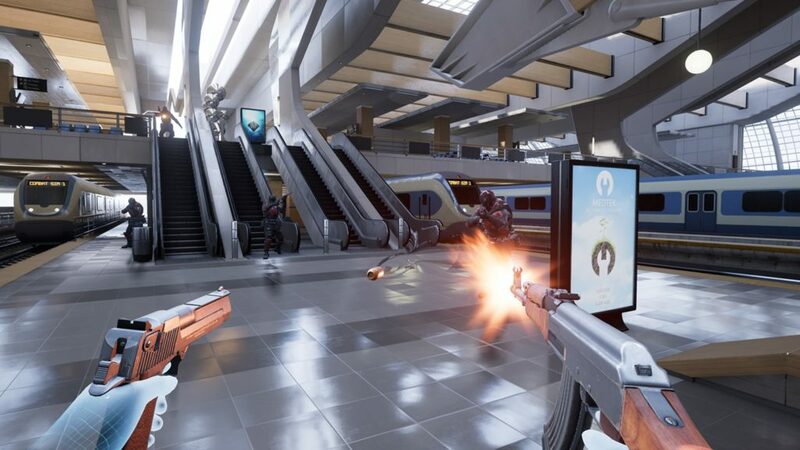 The successor to this for Oculus Touch is Bullet Train, which morphs you into a secret agent tasked with taking out the enemies using a variety of guns and special powers (i.e., time manipulation, teleportation and bullet deflection). The game begins with you on a moving train, not unlike the beginning of Half-Life 2 but infinitely more engrossing (imagine my glee being able to pick up garbage and throw it down the aisle, or grip onto the ceiling handles). A brief tutorial familiarizes you with the controls and within a minute or two you are thrust into an action-packed gun fight with the enemies. The demo lasts about seven minutes and is the precursor to Robo Recall, a full VR game that Epic will be releasing in 2017. Bullet Train is available for free on the Oculus Store. While the single-player Touch experiences are certainly delightful, a whole new level of entertainment is unleashed when you are suddenly pitted against other real world players. Dead and Buried is free from Oculus upon activating your Touch. The game is a tongue-in-cheek and humorous homage to old Westerns and gunslingers. As with other Touch games, an initial tutorial will familiarize you with the basic gun controls including how to draw and reload your pistols. A variety of online game modes exist including both cooperative and competitive battles. A fan favorite is the Quick Draw mode, which is an old test of who has the fastest hands of the west! Dead and Buried is a free game by Oculus with the purchase/activation of your Touch controls, and can be downloaded from the Oculus Store. A sports player in real life I am not. 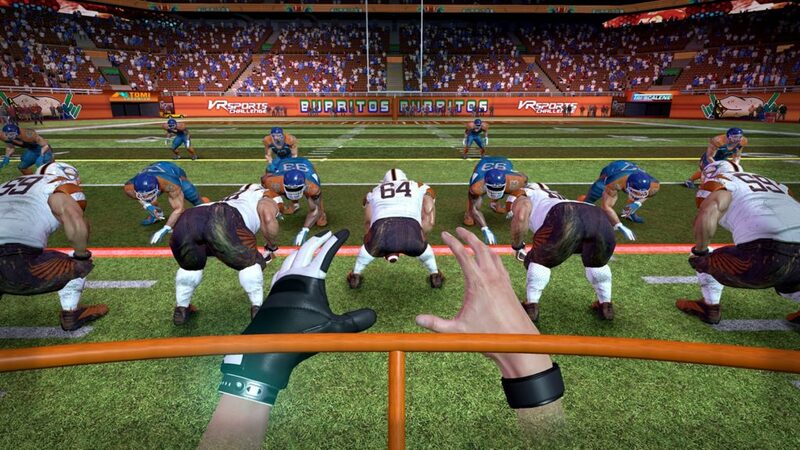 However, with VR Sports Challenge I have gotten as close as I would ever probably care to get in facing up against powerhouse pro-athletes in a variety of sports including Football, Hockey, Basketball and more. This game completely changes the manner of play in ways unlike anything seen before. The Touch controllers are used to dribble balls, pass footballs to players, slug opponents and slam dunk! All from a first person perspective, it has proven to be great fun even as a non-sports person in general. The more you play, the more fans you acquire to unlock additional features and content. VR Sports Challenge is currently free with Touch pre-orders (you'll receive an activation code via email), and is available for download from the Oculus Store. One of my simple pleasures after buying a new video card is to check out the manufacturer's technology demos that showcase some of the card's capabilities. NVIDIA has always had impressive real-time demos in this regard (as has ATI/AMD). 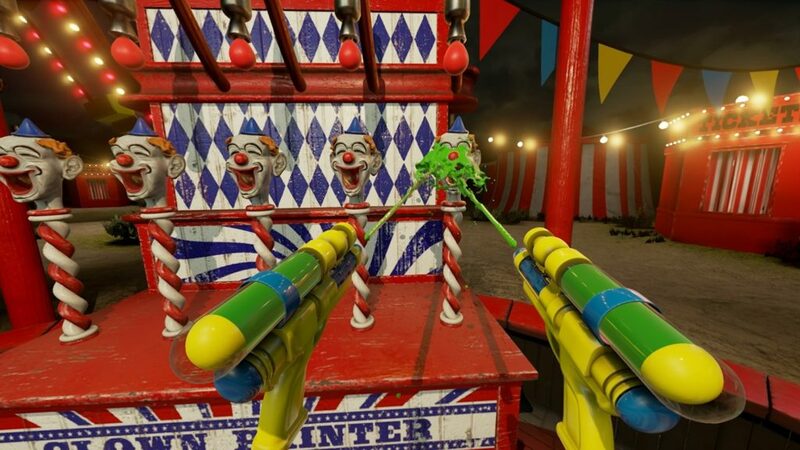 VR Funhouse is just that, a tech demo build around Oculus Touch for NVIDIA card-owners that showcases a variety of visually fascinating technologies. But it's not just a tech demo, it's a very enjoyable experience that takes you to carnival games of yore. There are approximately seven different games to play, each showcasing a unique feature of the NVIDIA chipset (physics, fluids, particles and more). Recently the app got a winter facelift with some additional content. More interestingly, the game also supports modding through Unreal Engine 4 so developers and content creators can put together their very own amusements. 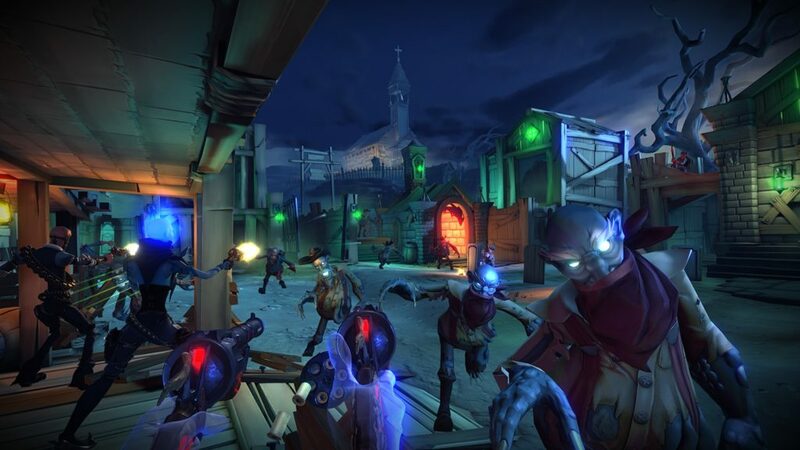 NVIDIA® VR Funhouse is available on the Oculus Store as well as Steam. If downloading through Steam, you'll need to enable Unknown Sources in your Oculus Settings (under "General") as you must do to play any non-Oculus Store products. Although this app recommends a 1080 or higher, you can get by on a 980-series card at low settings, but you won't have much success if using an AMD card since this was built for the NVIDIA chipset. 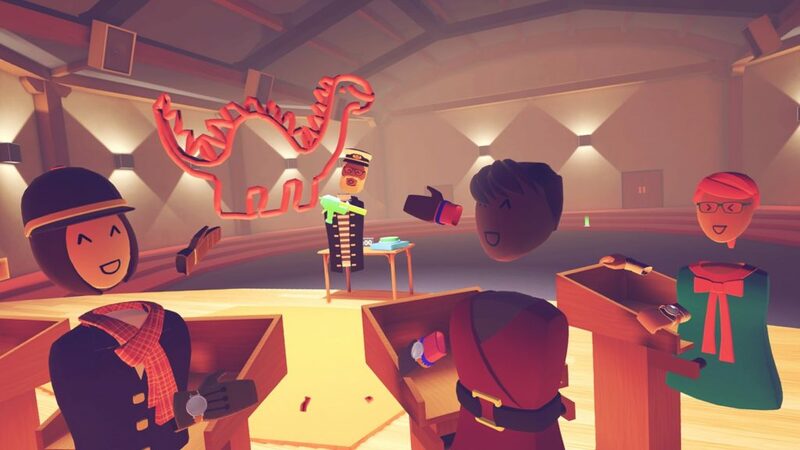 Certainly one of the most popular (and, at times, extremely hilarious) free multiplayer experiences on the Touch is that of Rec Room. This is a virtual reality experience reminiscent of hanging with friends and strangers at public gyms and clubs. The 3D avatars are legless torsos with the hands and head tied to your actual Rift and Touch controls. This allows you to virtually high five, wave at and dance with fellow VR users–including those on competing headsets–throughout a fairly large gym-like complex. There are a lot of social games that can be played, both formally and informally, including disc golf, paintball, dodgeball, charades and more. That said, it seems many users gather in the lobby itself without going into any formal game, which itself has different activities and items of interest. You can unlock additional items for your avatar and other features as you progress. Note that voice chat, by default, seems to be auto-enabled so if you don't want everything you say to transmit automatically you may wish to change this via the in-game settings (i.e., look on your wrist). Rec Room is available on the Oculus Store as well as Steam. Just like VR Funhouse, if downloading through Steam make sure that "Unknown Sources" is enabled in your Oculus Settings. Toy Box - A sandbox play area where you can interact with many classic toys and objects. Medium - A creative 3D sculpting and modeling application. The Lab - A collection of Valve's room-scalee VR experiments. Google Earth VR - Although officially still only supporting the Vive, you can get this running quite well with FakeVive. 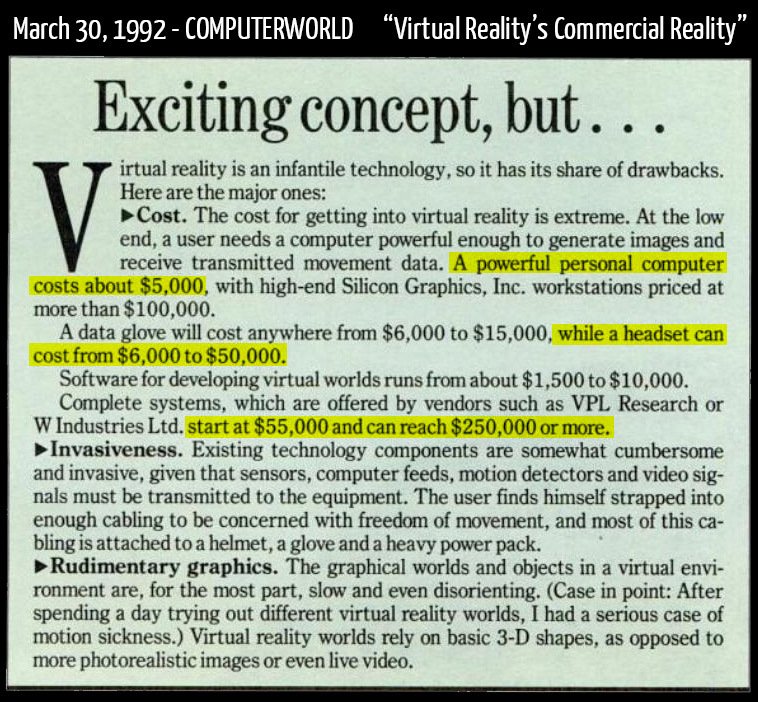 We have come a long way since the virtual reality days of Nick Arcade in the 1990s!